When it comes to shipping from China to the US, freight cost and transit time are the two biggest questions on any supply chain manager’s mind. But you get what you pay for … and paying less (generally) means slower shipping. Here’s how shipping from China works. What is the Cheapest Way to Ship from China to the US? Often the most important freight factors when shipping from China is cost. Mail may be the most economical shipping option for small shipments of light and small products. For example, China Post offers several mail options: Air Mail/SAL or Surface Mail for small parcels; Air Parcel, SAL or Surface Mail for large packages; and the EMS/China International Express and EUB priority systems for packages. But carefully check each option out first and then compare with courier charges. The heavier the parcel, the more likely it is that a courier (express freight) will be cheaper. While mail will run cheap, you’re also looking at long wait time. Using an international courier, also known as express freight is generally more reliable and quicker than by mail, whether it’s DHL, UPS or TNT. As a rule of thumb, at about $5 per kilo, express freight is the cheapest shipping mode for packages or small shipments up to about 150 kg. But watch out, some couriers will charge an astronomical amount if you are not a registered customer. At about $3 per kilo, standard air freight is the cheapest option for shipments between about 150 kilos and 500 kg. Very light shipments for their size might be charged on dimensional weight, rather than actual weight. Air freight by far the fastest. Express air freight is a little more expensive. Freight rates can vary widely between freight forwarders and prices change regularly, so make sure you shop around. For larger shipments sizes and origin/destination pairs, LCL (less than container load) ocean freight might actually be cheaper than air freight – make sure you check it out! Once a shipment weighs more than around 500 kg, ocean freight becomes the cheapest option. Ocean freight offers tremendous economies of scale (some ships can carry 20,000 twenty-foot containers). Some freight forwarders have recently begun offering a premium service, often called expedited freight, which is a little more expensive than normal ocean freight. Like air freight, ocean freight rates vary widely between forwarders, and over time, so again – shop around. How Can Air Freight Be Cheaper Than Ocean Freight? Each shipping mode has its own combination of base and variable costs. Modes with a lower base cost are cheaper for smaller shipments while modes with lower variable weight costs are the cheaper options for larger shipments, even if they start out with a high base cost. Check out the table below to see how this plays out for freight shipping costs from China to the US. The table shows four different shipments, each a with different weight. The green squares show which mode is cheapest for each shipment. Sometimes, when shipping from China, the cost of missing sales is more important than the cost of freight. Rules of thumbs for lead times are 1-2 weeks for regular post, 3 days for express freight, 8-10 days for air freight, and 30-40 days for ocean freight. Shipping from China by surface mail takes forever. China Post offers much quicker, cost-effective options in airmail and express mail service (EMS), which are both likely to take between one and two weeks. US Customs will deprioritize release of parcels if something looks wrong with the paperwork. So, increase your chances of regular post only taking one week, by checking that the supplier gets the paperwork right before sending. When shipping from China by international courier, allow three days. That includes either picking the parcel up at the Chinese supplier’s door unless the supplier has dropped it off at their depot. If it’s really urgent, there are more expensive premium services which may even be delivered overnight. Standard air freight between China and the US generally takes around 8-10 days. It’s not that planes are slower; it comes down to the fact that air freight processes that are much complicated than for express freight, while express air freight services typically shaves 2-3 days off standard air freight transit times. At around 30-40 days for a door to door shipment from China to the USA, ocean freight has the longest lead time. That’s because ships move a lot slower than planes. Beyond additional preparation required, ocean liners have also started to move slower to save fuel, made critical by crashing freight margins. For instance, US Customs requires importers using a single entry bond, and going by ocean freight, to also take out an ISF bond. On top of that, port congestion, customs delays, and bad weather conditions affects ocean freight much harder than they do for air freight. That said, ocean shipping has recently reduced the frequency of delays, becoming a lot more reliable. Even electronic companies have begun to ship by ocean instead of air. Ocean freight also has a premium service. Depending on shipment requirements, expedited freight might be able to really cut down the transit time. In some instances, it might even being competitive with air freight lead times. Expedited freight works by streamlining ocean freight processes and by only tying in with the faster ocean services and premium trucking services. That makes expedited freight a great new option when shipping from China. Use this transit time calculator, based on data from real recent shipments, to get estimates of transit times. As important as cost and speed is when shipping from China, you should also be aware of these key details. Shipping small packages of samples might be cost-effective by regular post. Also, importers just getting started might consider this mode to mail directly from the factory to the customer – essentially drop shipping. This process can be set up quickly and avoids having to make an early outlay for warehousing costs. But from a cost perspective, you’re going to want to rethink your strategy when sales volumes start to pick up. 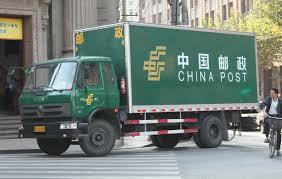 The two big US domestic couriers, FedEx and UPS, are also popular choices for China-US deliveries. So too are other major international couriers like DHL and TNT. Like mail, the process is simple: it’s generally straightforward to find the rates online, and there’s no need for a formal quote. And like the other mode options, most courier companies provide express options. US customs applies if the value of the goods is over $800, but clearing customs is a lot more straightforward than with air freight or ocean freight. Importers planning on buying large quantities of stock and using sea or air freight, should still arrange a trial shipment by courier before signing a big contract with a supplier. This way tests the waters with product sales. It also helps estimate profitability: the cost of this shipment being an upper limit for ongoing freight costs. The larger the shipment, the more complex the shipping process. There’s more to finding space in a plane’s hold than with regular courier services. And shipments are delivered to a facility where they are consolidated (packed with other shipments) first. This process is repeated in reverse at the other end. The US customs process is a also lot more complicated than for express freight. International law, national law, carrier organization regulations and individual carrier regulations all play their part in defining and restricting what goods are considered dangerous for transport. Generally, more products restricted as air cargo than ocean cargo, including: gases (e.g. lamp bulbs), all things flammable (e.g. perfume, Samsung Galaxy Note 7), toxic or corrosive items (e.g. batteries), magnetic substances (e.g. speakers), oxidizers and biochemical products (e.g. chemical medicines), and public health risks (e.g. untanned hides). For further information on shipping hazardous material, check out the Freightos Hazardous Material Table. Ocean freight usually means containers. But if you don’t have enough material to fill a full 20’ or 40’ container’s worth of shipment (FCL), it’s usually worthwhile to ship a less-than-container load (LCL). With LCL, several shipments are consolidated and packed into one container. This means more work for the forwarder, and not just the physical work of consolidating various shipments into a container before the main transit, and de-consolidating the shipments at the other end. It is more difficult to keep a trace of a shipment that is one of many in a container than it to keep tabs on a container with FCL. And of course, there’s extra paperwork involved, and more risk of delay. FCL takes less time to deliver than an LCL shipment. For China-US, LCL typically takes an extra one or two weeks. There is less chance of damage, misplacement, and loss with FCL. FCL costs less. For an average shipment, the main transit cost is often double an FCL charge when broken down by per cubic meter. When shipping from China, there’s plenty more to learn, of course, to become a master of freight. Getting the right mode is a good start. If you are looking at air freight or ocean freight, make sure that when you request freight quotes that you are selecting a good forwarder as well as a good price. Using a freight forwarder will steer you clear of the pitfalls, take over the organizing and troubleshoot where necessary. But there’s one step that is often made before bringing in a forwarder. Before agreeing to a deal with your supplier, be sure that you understand about selecting incoterms. Importers often sign on incoterms without understanding the risks they are taking on. Sometimes they get away with it, but the shipment can easily turn into a nightmare, wiping out profit margin, and then some. Having a forwarder means that you don’t need to understand everything about freight. But help yourself by being prepared for the barrage of paperwork and arm yourself with knowledge about freight documents. You should take a few extra minutes to make sure that all documentation is complete and accurate. Those few minutes are very much worth the effort. And have a freight charges reference at hand; don’t blindly accept every surcharge and fee. If you are looking at ongoing shipments, discuss packaging options with your supplier. You might be able to seriously cut freight costs. And insurance? You could do a lot of research, but no need. Bottom line is, make sure that you get comprehensive cargo insurance – basic carrier coverage is minimal. Learn more about Importing from China. What is the Container Fumigation Fee? What is Cost and Freight (CFR) Shipping Incoterm? What is an Export Declaration? INTERNATIONAL FREIGHT MADE SIMPLE. COMPARE PRICES IN SECONDS.